Haleigh from Oh Snap! 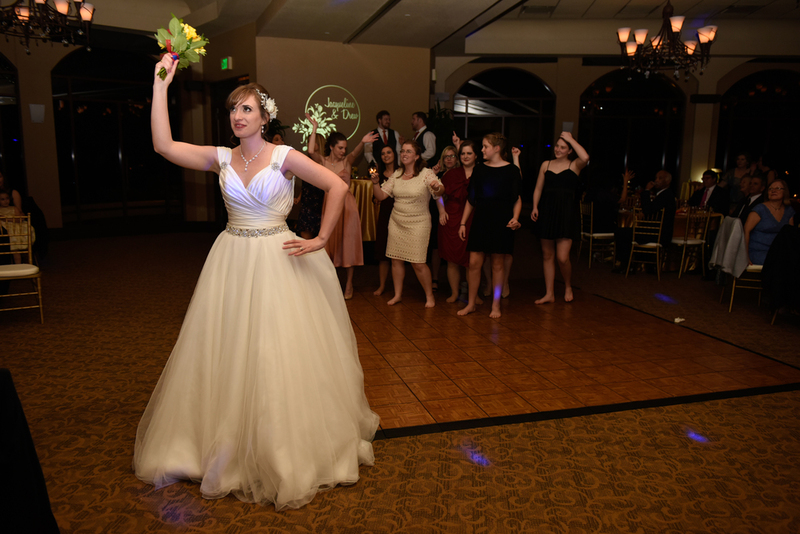 Images sent in these photos from a wedding she helped with. 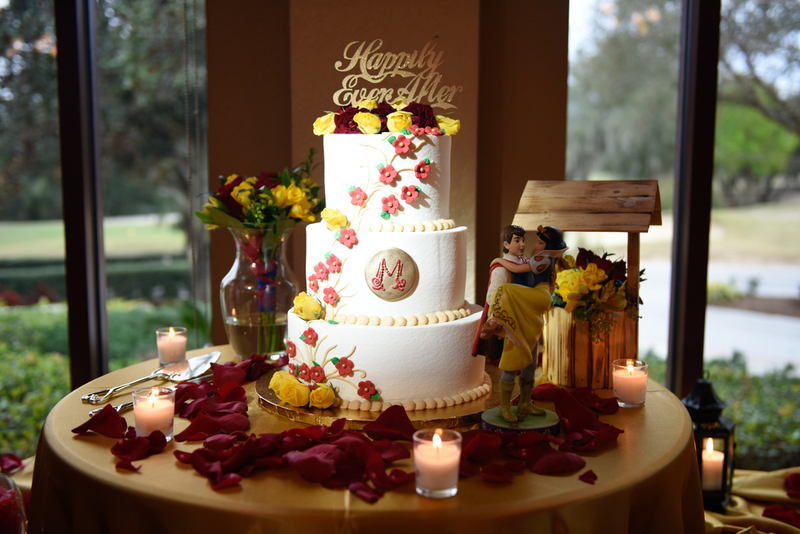 She rented a projector for the monogram behind the bride and groom's table and a few pin spots for the cake, a statue, and a special tree at the entrance. The wedding was held at Mystic Dunes in Celebration, Florida. 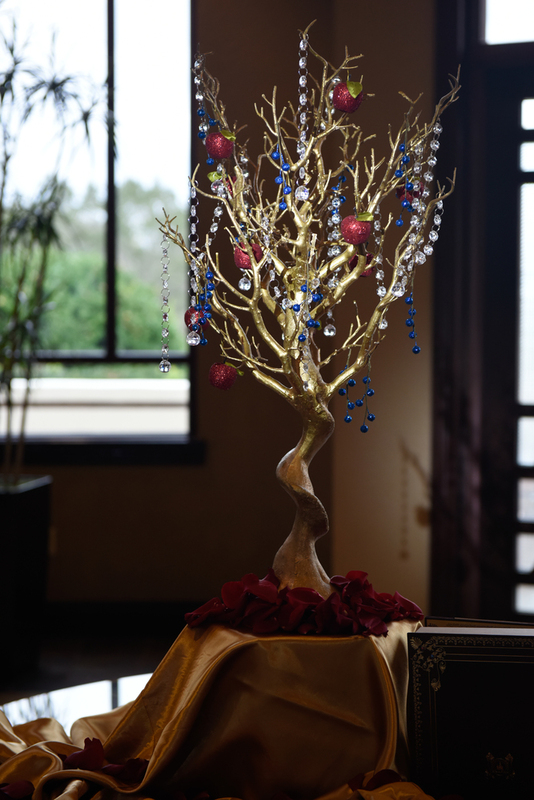 Pin spots are very small lights with a narrow beam that help highlight special items at your event. At weddings and formal events, they are most commonly used for centerpieces and cakes but they can also be added to the head table or elsewhere. You want to rent 1-2 pin spots for each object you are lighting. 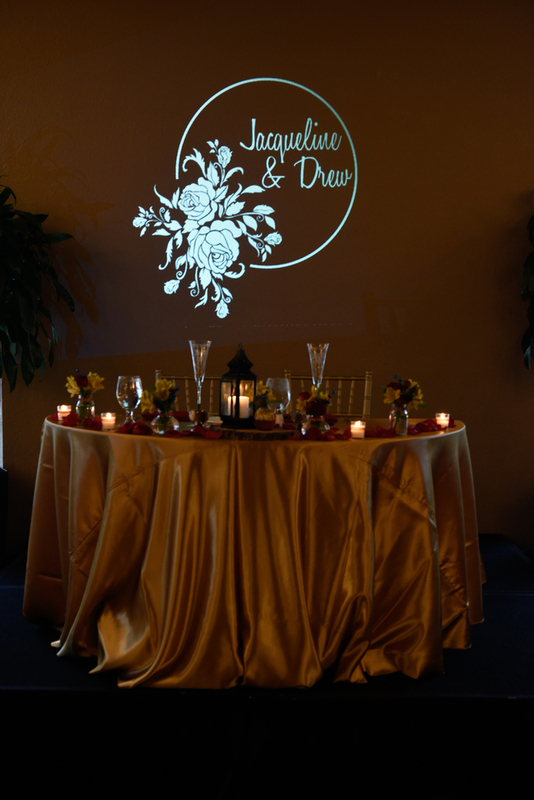 The monogram effect in the photo was achieved with a projector. We have some pre-designed monograms you can use, check them out here: monogram templates. Pictured in these photos is design #6.